All other orders ship for $5.95! Help! My Cloth Diapers Smell Like Ammonia! Confused by all the pocket diaper options? 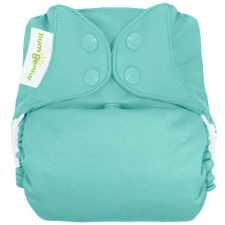 At a special price, try three Pocket Diapers to see which is best for you! You choose whether you want snap closures, aplix (like Velcro) or a mix. You also choose whether you would like boy colors, girl colors or gender neutral colors. Note: Sampler Packages may only be shipped to United States addresses (including territories and military addresses). Our layaway offers you the opportunity to get the products you need on a payment plan. Using cloth diapers saves money, but we understand that getting your initial cloth diaper stash can be hard when you are short on cash. 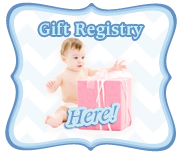 Our cloth diaper layaway plan allows you to spread the cost out over 3 months. Select the items you need, then use the voucher code "LAYAWAY" when you checkout. You'll only be charged 25% of the cost of your order. I will set your items aside until they are paid for. You will then be responsible for paying 25% each month for the next 3 months. If more than 90 days are needed please contact us at lisa@littlefornow.com to make arrangements. You can make payments on your layaway items with PayPal by putting "Layaway" and your name in the subject of the payment. Payments can be made using Paypal. The email address for Paypal is sales@ecofamilyinc.com. You can also pay with check or credit card. Please call us at 1-888-501-9130 for more information. If you need to cancel your layaway order there will be a re-stocking fee equal to 25% of the total cost of the order. Any additional money paid over the 25% will be refunded. The re-stocking fee is to cover the time we held the items for you and they were not available to be sold to someone else, credit card/PayPal fees and staff time to enter and process the order and cancellation. Certain items are drop shipped (cosleeper, etc.) from the manufacturer. These items are not actually ordered until the payment is made in full. In rare cases a manufacturer may change or discontinue a product during the payment period. If this happens and the product or a reasonable substitute (such as a different color) is not available then a refund will be issued. 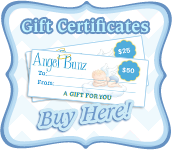 Copyright © 2006 - 2017 AngelBunz dba Eco Family, Inc. All Rights Reserved.